ESAF’s catalogue has a wide range of analog and digital thermoregulators , suitable for any heating requirement and for any type of installation, both in the industrial and civil sectors. The catalogue lists a wide selection of models, both electronic and manual ones, to regulate room temperatures. This system, based on static relay is, in fact, able to coordinate and centralise the heating of an entire house protecting the system from energy surges, short circuits and very serious black outs. The programmable thermostat allows you to control and keep a constant flow of hot or cold air. The product may be placed in any sized environment, be it industrial or civil. 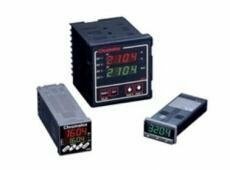 Whether the product is analog, digital or manual, each item allows you to compare the actual environmental temperature with the desired one, by controlling the flow and setting it as soon as it reaches the desired threshold. Whether the thermostat is manual or digital, both models feature the same structures: thermocouples and thermal resistors. ESAF srl is able to choose and select the ideal device for any type of system and installation. Moreover, thanks to its well-stocked warehouse, it is able to provide all necessary equipment for their installation and operation.